Dr. Jessie S. Mullen completed her Bachelor of Science degree at the University of Massachusetts in Dartmouth. She then went on to receive her Doctor of Chiropractic degree from New York Chiropractic College in Seneca Falls, NY. Dr. Mullen specializes in the treatment of children and pregnant women. She is certified in the Webster Technique, which helps to correct sacral misalignment and balance pelvic muscles and ligaments, allowing the baby to get into the best possible position for birth. She was awarded the CACCP certification from the Academy of Chiropractic Family Practice and the Council on Chiropractic Pediatrics. “The best gift you can give your family is a lifetime of great health!" Dr. Mullen is proficient in several techniques, including Cox Flexion Distraction, Thompson Drop, Activator and Diversified. She is also proficient in nutritional analysis and counseling. “So many chronic issues that are common today can be alleviated with nutritional/supplement counseling." 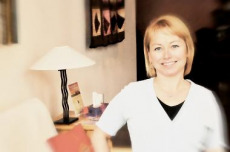 She continuously strives to update her skills and keep up with the latest advances in natural healthcare. She has practiced in County Clare, Ireland, Hartsville, South Carolina, Charlotte, Mooresville, Lincolnton, and Cornelius North Carolina. If you have any questions about our Cornelius chiropractor, or would like to learn more about chiropractic care at Holistic Chiropractic, please call us at 980-833-3616 today!